It’s a mere 16 years into our future. The nuclear-armed Greater Korean Republic has crumbled the infrastructure of the United States with a catastrophic EMP strike. The Koreans have brought the war to our doorstep, imprisoning our people and tearing down our once-great country. This nightmarish “what if?” scenario is Kaos Studios’ version of a “plausible near-future world,” as depicted in Homefront. Buy into this vision of our country’s potential fate, and you’re looking at the setup for a gripping and emotional tale. 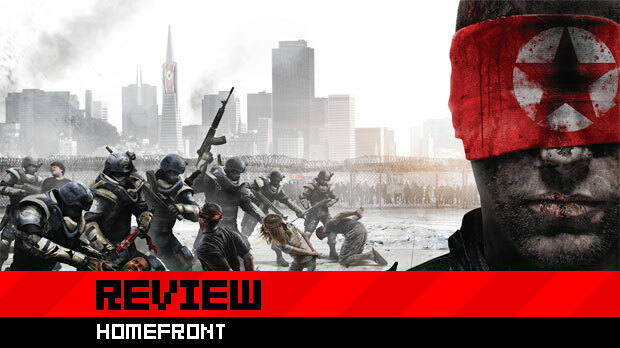 Unfortunately, a fascinating premise can only get you so far, and the pieces of Homefront’s puzzle don’t look quite so promising when they’re pushed into place. If you’re not a fan of first-person shooters, you’d probably say that the genre hasn’t come very far over the past five years. From an outsider’s perspective, that point of view seems valid: many of the games look alike, seemingly having you doing the same things with bigger guns and flashier visuals. The truth is, developers have made great strides in these experiences, from storytelling to subtle tweaks in core mechanics. 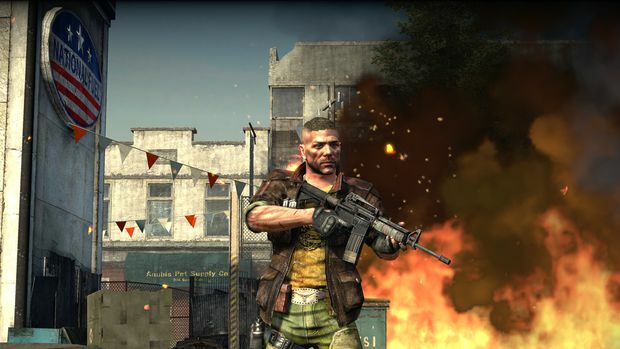 Kaos Studios, it seems, has slept on all of this: Homefront feels like a game yanked from a time capsule, one buried around the time when people were trading in their tank-like Xbox consoles for the sleeker, more powerful Xbox 360. Visually, the game can’t stand toe-to-toe with today’s most popular triple-A shooters, although it tries to make up for that with a chilling ambiance. Battling through American suburbs and city streets can be a tense, hair-raising experience. Plumes of smoke rise from homes and business torn apart by war, and iconic US symbols such as American flags and recognizable commercial logos lie burnt and tattered. But it’s hard to turn a blind eye to the game’s dated visuals, including muddy textures and a color palette that’s so overwhelmed by shades of greens and browns that enemies and the environment are sometimes indistinguishable from one another. Characters’ faces look dull and lifeless, whether they’re shouting orders or making vain attempts to connect with the player through dialogue. Numerous other problems mar the experience. Take, for instance, the scripting of the resistance team you’re fighting alongside. Do you enjoy standing in front of a door, doing absolutely nothing in complete silence for upwards of 30 seconds, while you wait for your squad to open it? How about getting stuck on an invisible wall as you try to crawl underneath a fence, only to realize you need to stand up and move aside so your partners can go first? This kind of sloppy design feels less like something you’d see in a triple-A game from a major publisher such as THQ, and more like something you’d expect from a budget PlayStation 2 title. It’s not only frustrating for the player (“Open the %#@&ing door already, guy!”); it completely breaks any sense that the world you’re fighting for is real. Technical issues aren’t the only thing holding back the campaign, either. There’s been a lot of talk about how Apocalypse Now and Red Dawn co-writer John Milius worked on the script. That sounds impressive on paper, but in execution, you’d be hard-pressed to tell that a veteran author was involved at all. To the game’s credit, there’s promise out of the gate. In the first moments of the game, you’ll see helpless Americans beaten by merciless Korean soldiers, and a mother and father ruthlessly executed in front of their sobbing adolescent child. The foundation of the narrative holds promise, and the idea that no punches are being pulled indicates Homefront could be a somber and even emotional action title. But the moment you get a gun in your hand, it all falls apart. For all of the campaign’s missteps and missed opportunities, there is a silver lining for Homefront: its multiplayer. Perhaps I jumped the gun when I suggested that Kaos was napping while the FPS genre evolved; it was simply eyeing its multiplayer competition. 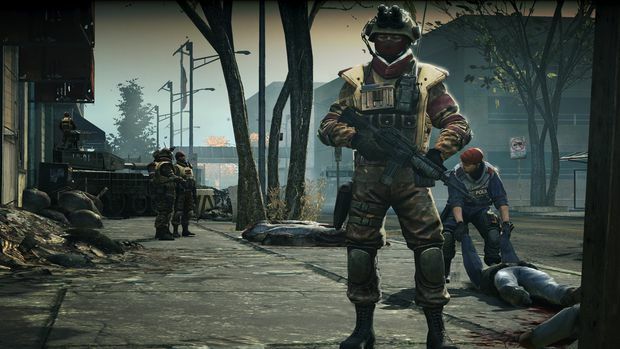 At its heart is its “Battle Points” system, an in-game currency that rewards players for kills, and completing various objectives and challenges. Using points, you can purchase vehicles, upgrade items, and do more to give you an edge. (Getting your hands on the game’s assault drones -- battery-powered, remote-controlled RC cars and helicopters of doom, is a particular highlight.) Points are doled out in such a way that you’re not simply pushed to kill, kill, kill. Instead, strategic thinking is rewarded, as is helping your teammates or guarding territory. It’s not a completely new idea, but it’s well-implemented in Homefront, enough so that it’s certainly worth mentioning. Not to be outdone by Call of Duty, Kaos has also implemented the now-expected leveling up and perks system. With over 70 ranks and close to 20 (if not more that I didn’t see) abilities, there’s a lot of content to both be explored and unlocked. 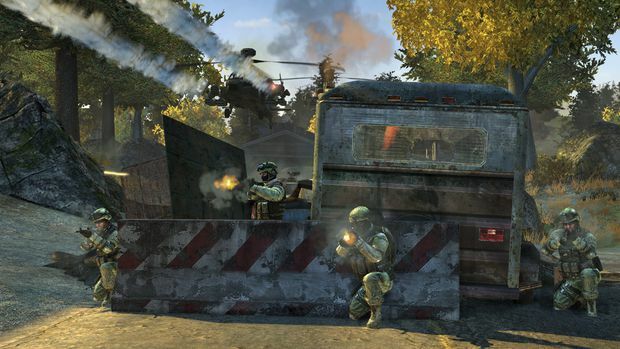 Game modes consist of the usual Team Deathmatch modes, along with “Ground Control,” which plays out similarly to the “Frontlines” multiplayer mode in Kaos’ previous shooter of the same name, with teams capturing and holding points on a map. While there are a meager seven maps that ship on the game disc, they’re all massive and well-designed around game objectives. Fans of heavy artillery will also be pleased to find an abundance of weaponry at your disposal; an American’s right to bear arms is rarely as sated as it is in Homefront, that’s for sure. 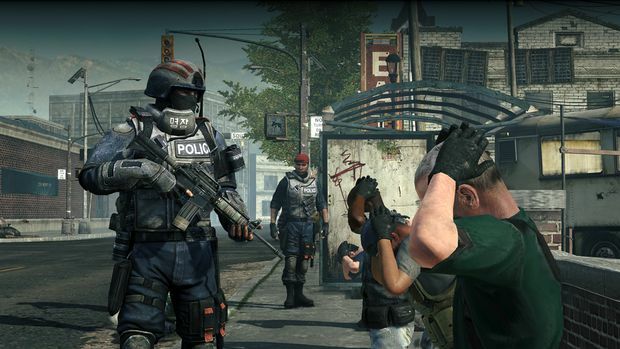 In many ways, Homefront’s multiplayer modes feel like an evolution of what Kaos offered with Frontlines. 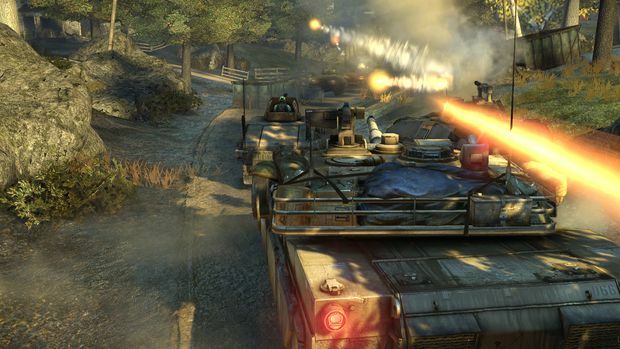 For fans of the 2008 shooter, this is exactly the game you’re looking for. It manages to stay fresh and varied with its wide variety of abilities and upgrades, and vast battlefields. Still, it's not quite as polished or full-featured as any of the recent Call of Duty games, which may be its downfall. Homefront’s multiplayer will ultimately only be as strong as the community that supports it; a few hundred Black Ops and Battlefield game invites will be hard to ignore. There are some games that feel like their multiplayer experience was tacked on, a simple matter of getting on the disc and the back of the box to sell “a few” extra copies. With Homefront, it feels like the opposite is true: we’ve wound up with a solid multiplayer experience, matched with a sloppy and under-developed campaign.